I can’t read a word of this, but I love those benches. Just this morning I stumbled across your blood and I cannot put it down. I really like the traditional Skottbenk and I intend on building one for use in my shop. I am curious as to where someone in the United States can purchase the types of planes that were shown in use with a Skottbenk. Thank you. It is very nice to read that you are planning to build a skottbenk. I am not aware of any new skottbenk i USA? The two man planes for use on skottbenk are usually user made. I would think it would be easy for some of the modern planemakers in USA to make some for you. The plane used for jointing edges are called «skottokse» in Norwegian. The body of the plane are made very similar to a Fore Plane, but with different handles. I have posted 11 blog posts about how to make plow planes for the skottbenk. Here it is explaned (in Norwegian) how to make handles for this kind of planes. There could also be planemakers in Norway who could make planes for you? 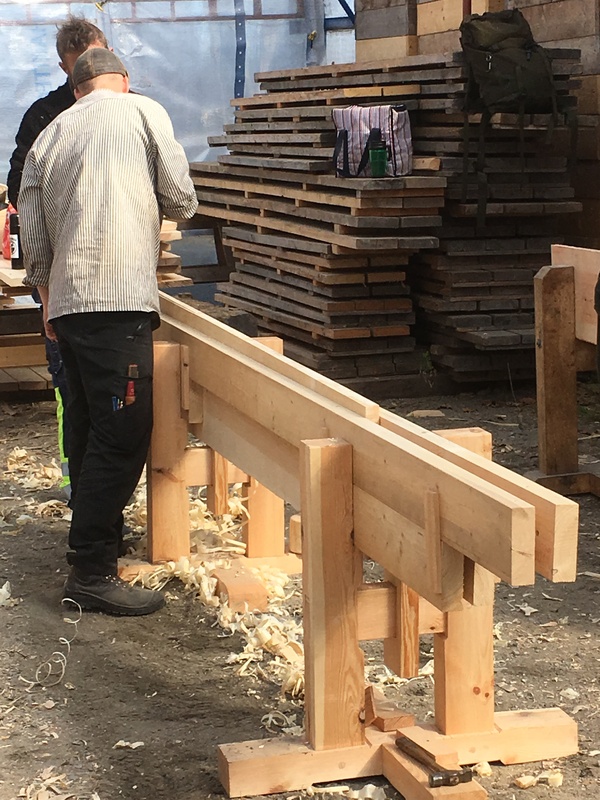 Peter Brennvik, Trond Oalann, Jarle Hugstmyr, Jon Selsjord and Thor-Aage Heiberg are making this kind of planes.